Are booms a bust for safety? Very quietly, oil and gas producers are breathing a sigh of relief and crossing their fingers. It may be a testament to the industry’s commitment to safety that difficult conditions — the need to keep up with new workers, new jobs, new activities, new technologies, and competing at a frenzied pace during a record “oil boom” —haven’t wrought havoc with the industry’s lost-time injury rate. Knock on wood. There were 40,000 new jobs created in Alberta in 2005, of which 26,000 were full-time. 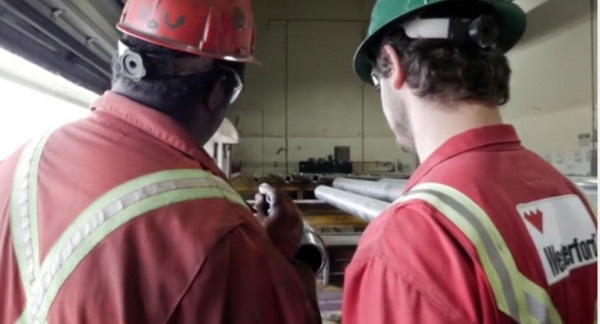 Canada’s largest producer of conventional crude oil, synthetic crude, natural gas and gas products, Alberta continues to attract job seekers from all over Canada. While the province enjoys an economic high, Alberta’s Workers Compensation Board encourages companies to set high standards for safety. Each year the board gives out safety awards, one to a company with an exemplary safety record, and another to a company whose record has made a dramatic improvement. Vick Mehta, is Manager QHSE at Vetco Gray Canada, a supplier of products and services to the oil and gas industry. The company’s prime business is in the sub-sea production and drilling systems, surface drilling and completion systems, says the company’s total recordable injury rate (TRIR) was “dismal” — 28 out of 100 —in 2000. Mehta says at that time, the company’s health and safety culture was non-existent, and that accidents and injuries were to be expected given the nature of the business. But when senior management started to recognize that its best customers insisted that its suppliers could demonstrate sound health, safety and environmental responsibility when bidding on new contracts, things started to change. 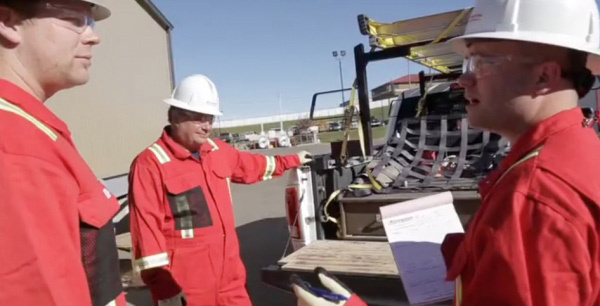 That’s when the company implemented the province’s Partnership for Injury Reduction program, a joint venture of the Alberta Human Resources and Employment & Workers Compensation Board and the Manufacturers’ Health & Safety Association (MHSA). The company set about to change its safety culture from top to bottom, and in 2001 achieved a Certificate of Recognition, which also came with a five per cent rebate in premiums paid to the WSIB. But the change didn’t come easy, says Metha. The safety turnaround plan required support and objectives for all levels of management, weekly plant inspections, a hazard identification, evaluation and control program and extensive training for all employees. The company also conducted an in-depth audit and resulted in recommendations for training and other measures, such as eliminating or controlling hazards, substituting hazardous equipment or materials with safer ones, implementing administrative controls, safe work procedures, good housekeeping and personal protective equipment. The company worked on all of these measures to earn its certificate of recognition (COR). The company say immediate results and lowered its TRIR rates fall from 28 to about six within one year. The other 2005 award from the Alberta WCB, the “Safety Leader” award, went to Calgary’s NAL Resources to recognize the company’s industry leadership, top-notch health, safety and disability management program and proven injury prevention track record. NAL is a conventional oil and gas company that employs 300 staff and consultants. Since the company’s inception 16 years ago, NAL’s employees haven’t been involved in a single lost-time injury. There have been, however, a number of LTIs among contractors, which Chief Operating Officer Jonathan Lexier was determined to address. He says the oil and gas industry in general has traditionally overlooked contractors. Even when discussing a company’s safety record, he says, boards of directors might not even ask about contractors. In 2001, the company made a commitment to improve its safety management program. After half a decade of renewed commitment to safety — including a focus on contractors, with a supervisor from NAL at every site taking responsibility for everyone’s safety — Lexier says people’s attitudes and behaviours have greatly improved, and the rate of contractor LTIs has dropped by 90 per cent. On the worksite, this sometimes translates as going above and beyond formerly accepted safety measures. Because even a trace of oil or gas fumes could cause an explosion if ignited, NAL’s procedures involve actually measuring the vapour levels, using gas monitoring instrumentation, rather than just assuming everything has been cleaned out. • Unknown (7.4 per cent). Statistics also reveal another trend. In this industry with fast growth and fast profits, people are dying, and it’s not how or where you’d imagine them dying. What’s “much more depressing,” he says, is that those statistics only capture fatalities that occurred on the job. A major drilling contractor recently told him that for every worker who dies on the job, the company loses 25 employees to driving off the job — to or from work, on holidays, going shopping, going to a hockey game, wherever. ENFORM launched a half-million dollar campaign in the spring of 2006, called “Choose to drive safe,” in hopes of raising awareness, particularly to drivers in the oil patch. He says there are several initiatives in Alberta to address the problem, but that the key players — including the health department, Alberta Transportation, and community groups — are “all pulling, but not in the same direction.” He says a solid plan for traffic safety has yet to be developed. If companies are breathlessly keeping up with product demand while remaining susceptible to danger, how have they managed to keep the injury rate from soaring? • Employers have done the math: Chodan says employers are getting the message that safety pays, or that the alternative can be financially and morally devastating. He gives the example of a company in the Red Deer, Alberta area where six people were burned in an explosion. “They all survived,” he says, “but we shut the place down with a stop work order for three days. That cost them two million dollars a day. Let alone the cost, now you’ve got six people who are going on workers’ compensation, a bunch of equipment that’s damaged, insurance costs will skyrocket, you’ve got to go through the process of hiring new people to replace them at least temporarily. • Bill C-45: Since taking effect in March, 2004, Bill C-45 has had the sobering effect of demonstration that companies can be heavily fined, and possibly jailed, when safety goes awry. Construction company H & H Stucco and Siding Ltd. was fined $345,000 in October, 2006 under Alberta’s Health and Safety Act for failing to ensure the safety of a young man who died after falling from a fourth-floor balcony. This was the highest fine in the province’s history. 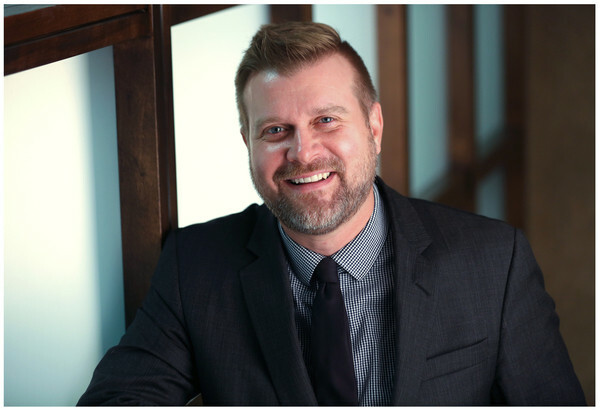 “Bill C-45 has been a wake-up call for employers,” says Chodan. • A mindset of collaboration: Vick Mehta of Vetco Gray Canada has observed that in the last five years many oil and gas companies want a long-term partnership with their suppliers, and insist on knowing much more about their suppliers’ safety programs. “I’ve seen how important it is for Shells and Chevrons and Exxon Mobils,” he says. It’s now about much more than price and quality, and health and safety performance is becoming a significant criterion in winning a bid for a new contract. In some cases, suppliers are required to respond to a six-page questionnaire about their health and safety environment.